Home > Blog > Fight Your Fear And Dental Anxiety With Laser Technology! Fight Your Fear And Dental Anxiety With Laser Technology! Dental anxiety–or fear of the dentist–is a very real thing. And this condition can eventually get in the way of you having a healthy mouth and a beautiful smile. In fact, in the end it can actually lead to a mess that is more painful and costly to clean up than regular preventive treatments would have been. But it doesn’t have to be that way. Our Longmeadow, MA dentist’s office has a kind and compassionate staff, a welcoming environment, and Dr. Dores has insisted that we invest heavily in forward-looking technologies such as the Solea Laser. All of that is to say that you have nothing to fear with us, and there is no longer any need to put of the dental care you deserve. Keep reading to hear more about our cutting-edge laser dentistry, and then be sure to contact us to schedule your next appointment! The Solea Laser probably sounds more like something out of science fiction than what you are used to finding at the dentist’s office. In actuality, it is another great example of how technology is making modern dental procedures much more comfortable for the patient. At Dores Dental, the Solea laser is now used for a number of procedures, for which the drill might have been the only option not too long ago. 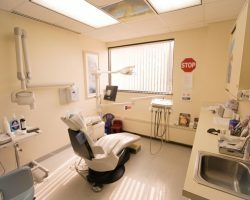 The good news for you is that it eliminates the disconcerting sounds, rough vibrations, lengthy healing times, and the very real pain associated with the dental drill. Tooth decay is a perennial challenge. But at least now it is easier to treat. Besides eliminating unpleasant smells and sensations, the laser does away with the need for local anesthetic, which means no more needles! Gum disease impacts most Americans in some form at some point in their lives. But it can be treated and reversed at most stages. For this procedure, we use the laser to comfortably eradicate bacteria that has gone below the gum line and threatens to dislodge your teeth if not addressed. This process is all about cosmetically enhancing the appearance of a “gummy” smile. Recovery and healing times are greatly reduced now because the laser actually cauterizes your soft tissues. Like we said, dental anxiety is no joke. It adversely affects about 60% of the adult population in this country, and that number doesn’t reflect the additional 8% of adults who suffer from an even more severe form of this condition, called dental phobia (fear of the dentist). Here’s the problem: when you tend to want to avoid us, you won’t have the benefit of a professional oral exam to see if anything seems amiss in your mouth or if there are symptoms of problems elsewhere in your body. Sadly, this means that health issues such as tooth decay, periodontal disease, and even cancer can gain a foothold without you even knowing it. By avoiding the dentist now, you are only setting yourself up for more trouble at a latter date. Sooner or later you will have to confront the reality of the situation in your mouth. You might as well start today. We promise to go easy on you! We hope you have been inspired, or at any rate encouraged, by today’s post. At Dores Dental, we want to welcome you back and get your health in order ASAP. Contact us today to schedule your next dental appointment in Longmeadow, MA!